Joan and I started very early in the morning at The Ponds. 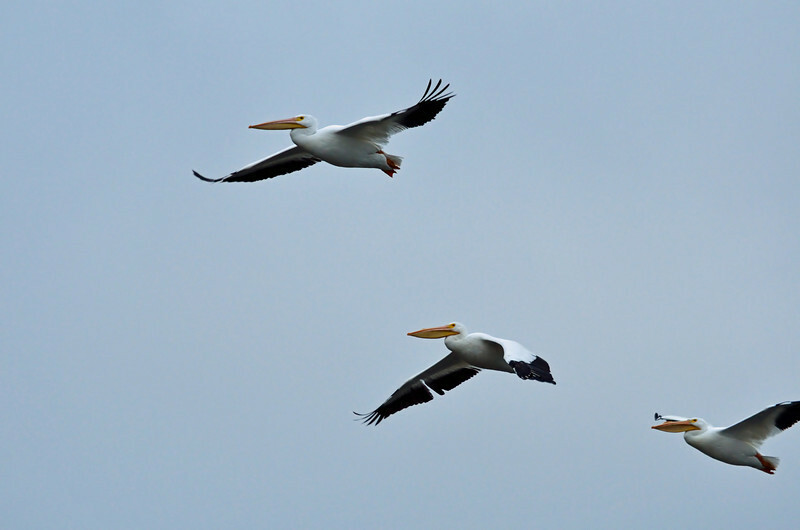 Shortly after we arrived, a flock of white pelicans flew in. Unfortunately, it was very cloudy.